Elvis & Nixon is a 2016 American comedy-drama film directed by Liza Johnson and written by Joey Sagal, Hanala Sagal, and Cary Elwes. 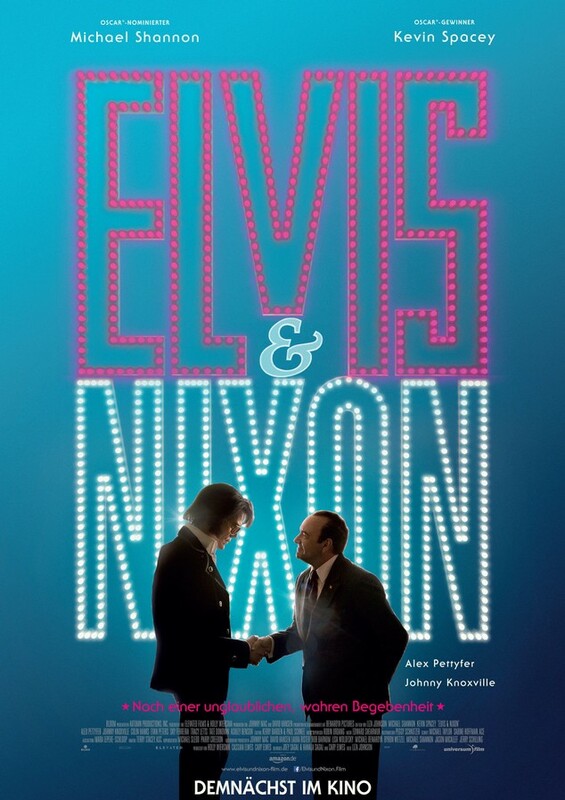 The film stars Kevin Spacey as President Richard Nixon and Michael Shannon as singer Elvis Presley, and focuses on the December 21, 1970 meeting between the two men at the White House. The film also stars Alex Pettyfer, Johnny Knoxville, Colin Hanks, and Evan Peters. The film was released on April 22, 2016 by Amazon Studios and Bleecker Street.